I am so happy to write a few lines about my experience with ‘Donate a Car’! I have known about this organization for some time and thought it was a great idea but I wasn’t aware of the extent of the services. I thought it was brilliant that a Towing Company would come and tow the car from my residence, however I didn’t realize that a donation would be made to my Charity of choice! It felt so good to know that others would be benefiting too. Everything was so organized, right down to the last detail, and happened so quickly – it was wonderful. 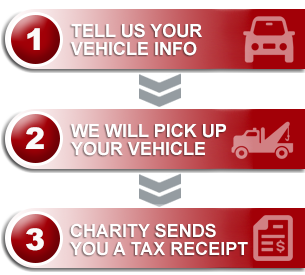 I will definitely donate a car again in the future, and I will be sharing this service with family & friends encouraging them to do the same. Thank you once again for the great work you do and for the service you provide. It feels great to give an old car new life.